As my runs have started to get above 10km i have noticed that i need some in run refuelling to keep the legs ticking over and stop the complete crash. At 10k a slurp of water or a sip of gatoraid is probably plenty but now with my distances still being fairly short – 15kms – but getting longer each week, I decided that I needed to investigate all the Gels, blocks, sweets and other boosters and start getting used to them before it was desperate. 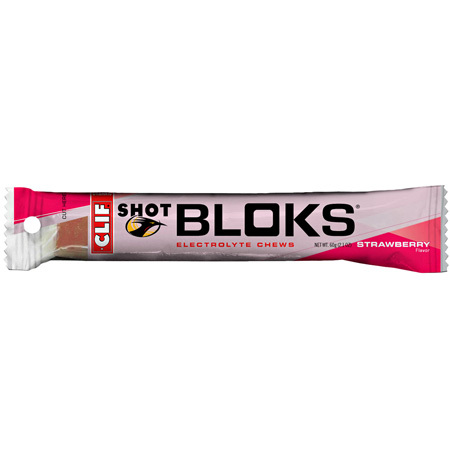 So during my search over the past couple of months, trial and error has led me to Clif Bar Blok Shots, a gummy sticky block of carbs to give you that boost, but without the splurge of the gel. On a positive, the gels are really good, no GI issues and I feel the benefit when I pop one at about 10k before i start feeling heavy at 12/13k, however they’re a little hard and to big for a mouthful – the packaging is a bit rubbish, so i chop in half and transfer to a ziplock bag in my shorts pocket or running bag – they’re also a bit on the pricey side at £2.50 a packet. Whilst out with a running buddy the other day – he suggested a standard block of jelly from the supermarket was just as good and a fraction of the price… so I thought I’d investigate more. 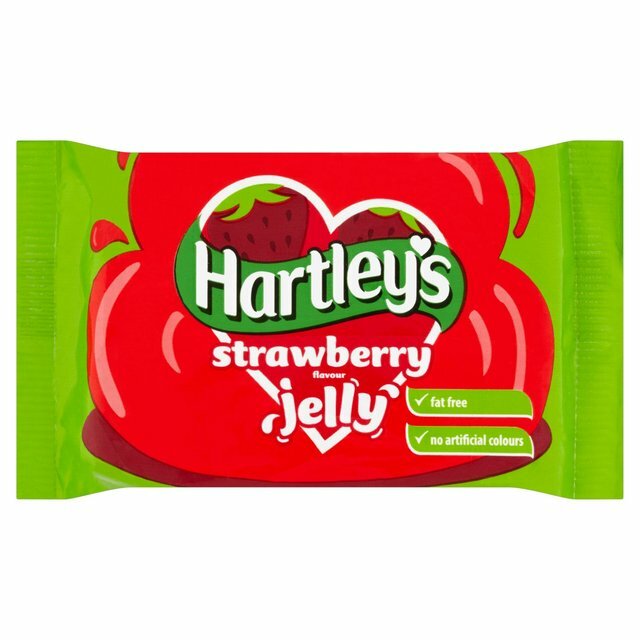 Well firstly on the price from he was right – 35p for a block of Hartleys Strawberry jelly – with more inside than the Shot Blok so that was a good start for the wallet!! fat is 0 in both… good job gotta watch the waistline!! Carbs 80g with 40g being sugar in the shot blok and 68.5g with 57.4g in the jelly. and finally Protein… with none in the blok and 5.5g in the jelly. So similar in places but pretty different in other, this set my google fingers working – Kcal wise, I’d be happy with the Jelly, Salt wise, for me a little extra sugar can’t hurt? especially in a hot race, all the Jelly carbs are sugar, but provided you keep on popping cubes that should keep the high going… but what about the protein? I get protein after a run – chocolate milk being my major go to drink when getting back from a run along with all the other good protein sources of fish and chicken. But what about during exercise. It seems those clever bastards in the lab coats can’t agree – some say a carb/protein mix during training is good, others say not, or at the best don’t believe it adds anything. There are warnings about protein causing GI discomfort and a ratio of carb to protein mix of about 4:1 so the ratio in my jelly is a fair bit lower than that. It is also worth noting at this point that jelly contains some less ‘clean’ food Glucose Fructose Syrup and Pork gelatine being the two that stand out… but hey I’ve eaten worse!! So with all thing being equal i think it’s worth a try during my long runs in the next couple of weeks, i finished the last of my Bloks on Wednesday so my long run tomorrow will be on Jelly Power!!! I’ll post an update when I find out if it works!! Thanks Kat, will keep you posted! !